One of Sri Lanka’s most followed sporting events, the Presidents Gold Cup Championship, powered by Dialog Axiata PLC, will spike-off this August with the participation of over 4,000 teams, consisting of 48,000 players, in the largest sports tourney held in the country. The President’s Gold Cup tourney which has a history spanning over two decades is sponsored by Sri Lanka’s premier connectivity provider, Dialog Axiata PLC for the 13th consecutive year, underscoring the company’s commitment for the development of the country’s national sport. The President’s Gold Cup, an open tournament hosted by the Sri Lanka Volleyball Federation, is held over a period of five months, culminating in one team winning the coveted championship title, scheduled to take place in December. The event will attract teams across 25 districts island wide and include an under 22 event segment for men’s as well as women’s teams within the tourney. The matches will subsequently be worked off at inter district and national levels leading up to the grand finals. “Dialog is pleased to once again partner with the national sport of Sri Lanka for the 13th consecutive year. 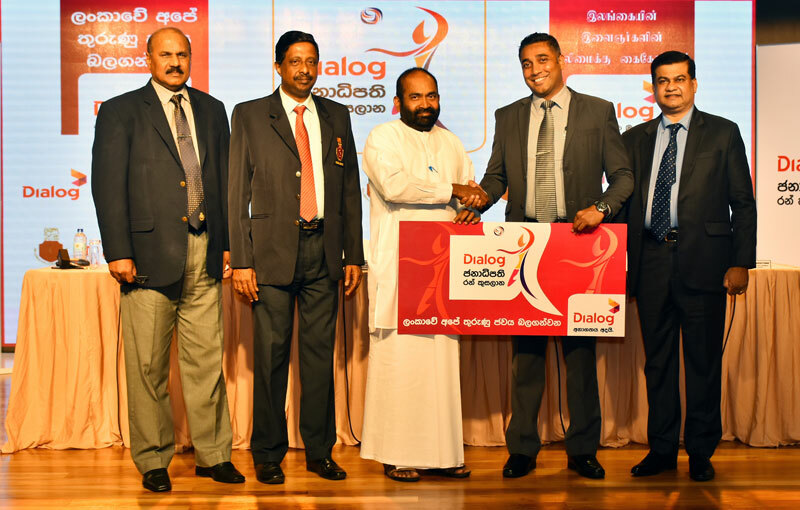 I wish this year’s teams partaking for the championship the very best, and the Volleyball Federation for a successful tourney,” Harsha Samaranayake, General Manager – Brand and Media, Dialog Axiata PLC said. Dialog Axiata PLC is the official sponsor of the National Cricket and Rugby teams and is also closely associated with school’s cricket, club rugby, club football and Para Games.